So put on some of your favourite Christmassy tunes, make some hot cocoa and let’s get started! 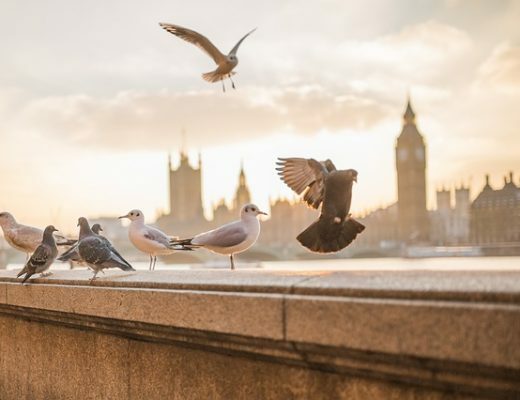 Stay: Most places to stay in London are going to be extra expensive over the holiday season, so if you’re on a budget I would recommend a hostel such as one of the London Clink Hostels or Palmer’s Lodge Swiss Cottage. Both the London locations of the Clink hostels are in King’s Cross which makes it easy to get all over the city and Palmer’s Swiss Cottage is especially cosy-looking if you want to feel extra Christmassy! Alternatively you might like to book something through AirBnB or you could use this tool below to check what sorts of Christmas deals are on offer at a hotel to suit your budget. Eat: For the first night of your Christmas weekend in London why not have a traditional Christmas dinner at Simpson’s in the Strand? 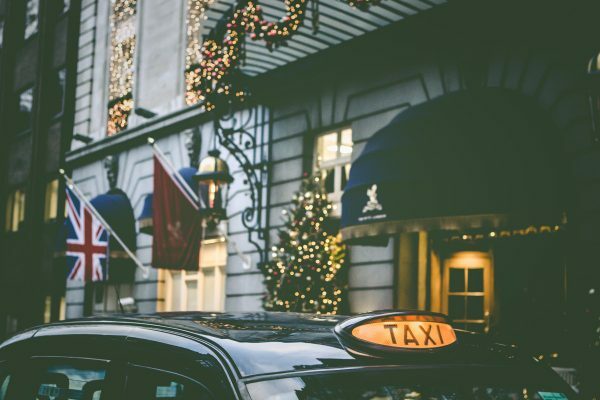 Located in the stunning Savoy Hotel, even though this is a pretty swanky affair their festive menu is affordable with a set menu from £45 for two courses or £55 for three courses. See: Tonight is the perfect time to see one of London’s famous Christmas shows like the Nutcracker ballet at either Royal Albert Hall, the Royal Opera House or the London Coliseum. Do: If you don’t feel like seeing a show you could go ice-skating at Somerset House after dinner (since it’s right by the Savoy anyway)! This spot is very well-known for being shown at the beginning of ‘Love, Actually’. Or you could go ice-skating at one of the many other options in London at the moment, have a look at the end of this post for alternative ice-skating locations! Eat: Have a decadent breakfast/brunch at the Dalloway Terrace (part of the Bloomsbury Hotel). The Dalloway Terrace decorates based on the season, and their winter offering is suitably cosy and magical! Snuggle up in blankets and sip on one of their brunch menu cocktails or a hot drink and have something delicious to start your day. Do: Head out for a morning of window-shopping and/or actual shopping at London’s best department stores. Harrods, Liberty London, Selfridges and Fortnum and Mason all have stunning Christmas-themed window displays each year which are definitely worth seeing. You probably won’t have time to explore all of these huge stores in one morning so either just go to see the window displays or perhaps choose one to fully explore; I’d recommend either Harrods or Fortnum and Mason since the shops are amazing and they also have lovely cafés where you can enjoy a Christmassy afternoon tea! Eat: I’m particularly fond of the affordable lunch and afternoon tea options at Fortnum and Mason’s The Parlour which are easily added if you have been exploring Fortnum and Mason. If you went to Harrods there are multiple café and restaurant options to choose from like Café Godiva for chocolate lovers or The Harrods Tea Rooms. Do: Spend your afternoon and early evening exploring the magical Winter Wonderland at Hyde Park. This huge event consists of market stalls, food stalls, rides, bars and even performances! There’s a skating rink, a ferris wheel, rollercoasters and Santa’s Grotto for children. You can see performances such as Peter Pan on ice, two different circuses and even comedy! Make sure you have a look at the website to plan what you might like to see ahead of time. Entry to wander around is free but things like ice-skating, going on rides or performances need to be booked beforehand. I wrote a small blog post about the first time I visited Winter Wonderland here if you want to see some more photos! Eat: Have something to eat while you’re in Hyde Park; there are so many things on offer you’ll probably want to taste-test lots of different things! 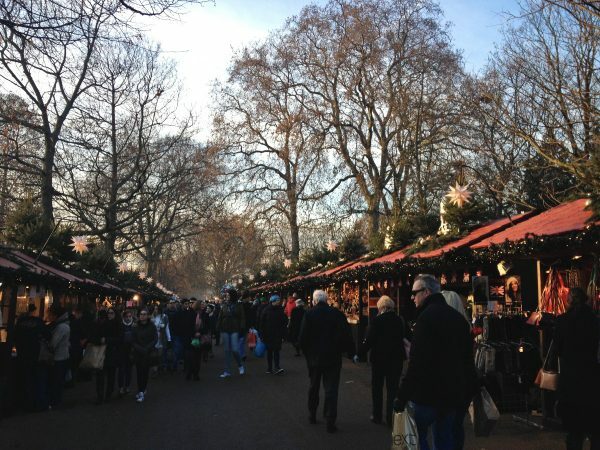 You can buy food from the stalls or sit-down to eat and drink at the festive tents and bars. Do: When (if!) you’ve had enough fun at Hyde Park why not go for a walk along some of London’s streets to see the most famous Christmas light displays? 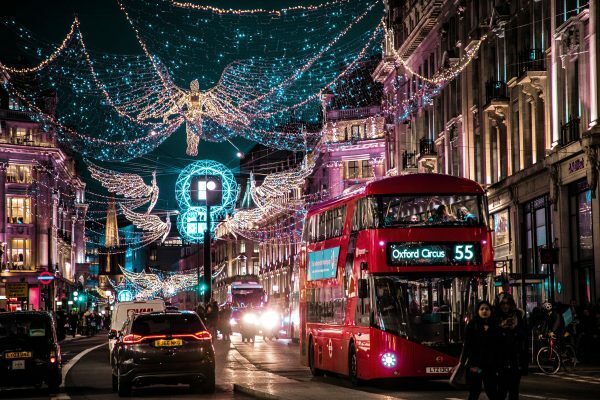 Oxford Street and Regent Street are two of the most famous places to see the spectacular displays, and they intersect so it’s easy to see both in one go. Carnaby Street also has unique Christmas lights every year and is around the corner from Regent Street. Liberty London is right here as well, so it’s the perfect time to have a look at their Christmas window displays too! Drink: If you’re not too tired from all the walking then you could go for a night-cap at the Montague Ski Lodge! 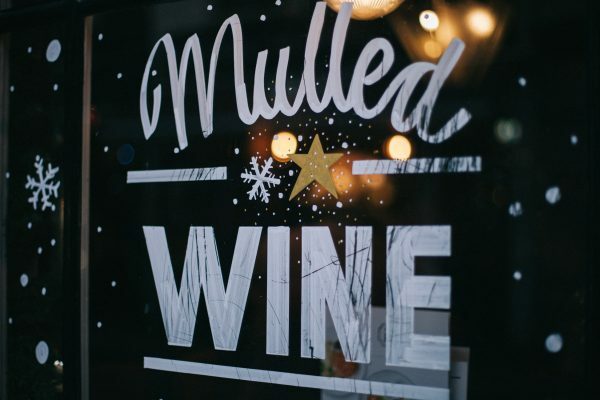 Here you can have mulled wine and candied pecans while sitting in blankets in front of a roaring fire, the perfect way to warm up after wandering the cold London streets at night. Just be aware that you have to book and pay to go here ahead of time. 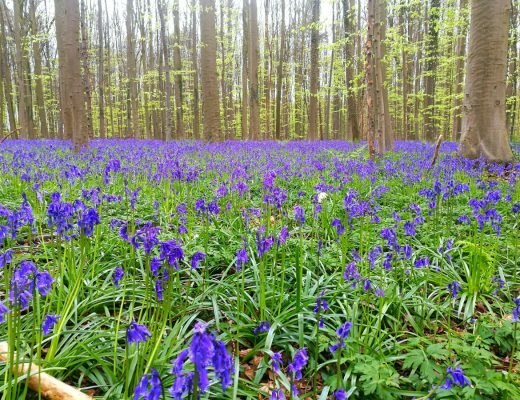 At the end of this post, I have listed lots of alternative activities if you wish to switch this out for something else. Eat: Just grab a quick breakfast today either at your accommodation or somewhere nearby. 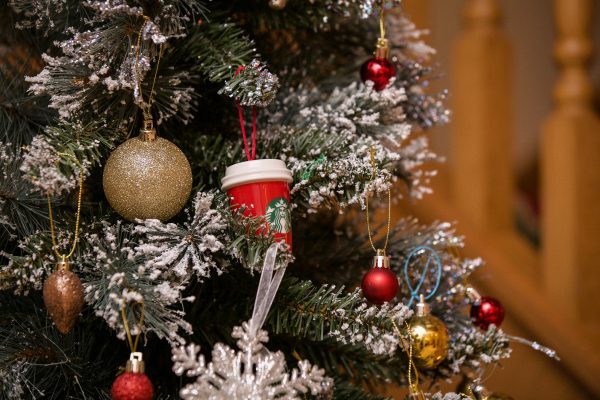 It might be the perfect time to pop into Starbucks and get a quintessentially Christmassy drink like a peppermint mocha! Do: Learn about the history of London with a Christmassy twist at the Museum of London. This is a great museum to learn about the city’s history at any time but during the festive season they have a display which will let you walk through Victorian London at Christmas as well as exhibitions about the Thames Frost Fairs and lots of festive events! Eat: For your last Christmassy meal head to Mr. Fogg’s Tavern in Covent Garden for a Festive Feast inspired by Christmas celebrations from 1883. Enjoy the eclectic atmosphere amongst Christmas decorations while you sup on turkey or roast beef and Christmas pudding, mince pies or gingerbread cheesecake! The set menu is £35 per person and includes a glass of wine. 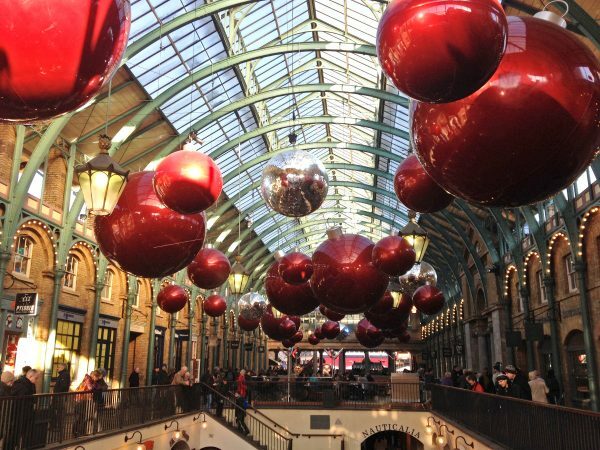 Do: Before you head home, make sure you also have a wander around Covent Garden to enjoy the beautiful displays and maybe get some last-minute shopping done in the many lovely shops and market stalls! Duck and Waffle – between 11.30am and 5pm you can get a three-course set menu for £85 per person, including coffee and mince pies after your meal but not including drinks. There’s also a vegetarian menu. Butlers Wharf Chop House – three courses for £85 per person, not including drinks. This one is only available for lunch. Blue Print Café – at three courses for £50 per person (as well as coffee and mince pies afterwards) this seems to be the best budget option I found! Bookings can be made between 12pm and 4pm. The Colony Grill Room – the Christmas Day menu is basic but if you only got a main and a dessert it would only set you back about £38 per person. They also seem to be open for lunch or dinner on Christmas Day but make sure you check the website for availability. Hoxton Grill – one of the few options that are open for lunch or dinner, you can get their special sharing platters from £42 per person. If you want to swap some of my recommended activities out for others, or you have more time in London and want EVEN MORE Christmas things to do, don’t worry, there are so many! 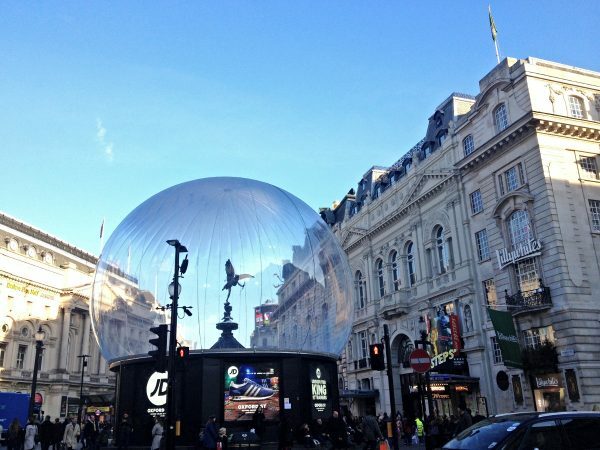 Here are some of my other favourite things to see or do during the festive season in London. Ice-Skating – As well as Somerset House which I mentioned there are also great ice-skating rinks at the Tower of London, Canary Wharf and the Natural History Museum as well as Hampton Court Palace, Winterville and Skylight (more about those in a minute). Hampton Court Palace – Speaking of Hampton Court Palace, it might be a long way to go just for an ice-skating rink but the palace also has a festive makeover at this time of year so you can experience what Christmas would have been like at the court of King Henry VIII! Kensington Palace – Kensington Palace also plays host to many Christmas events as well as being decorated festively. You can even watch classic Christmas films on the big screen at the Luna Winter Cinema! Southbank Centre – as well as playing host to a lovely (free) Christmas market, there are lots of festive events occurring at the Southbank Centre. Make sure you check out the program on the website. Christmas Carols and more at the Royal Albert Hall – As well as the Nutcracker which I mentioned before, you can also see lots of other Christmassy musical performances at this famous concert hall! The Christmas Carols take place on Christmas Eve and Christmas Day or you could see things like the movie ‘Home Alone’ in concert, Handel’s Messiah or even a Christmas Cabaret. Check out the Christmas 2018 calendar on the website for all the options. Hogwarts in the Snow – Between the 17th November and 27th January you can see what winter would have been like at Hogwarts when you visit the Warner Bros. Studio Tour! The Great Hall is decorated for the Yule Ball and a lot of the displays receive festive makeovers. You could even have a Christmas Dinner at Hogwarts (for a hefty price tag)! Don’t forget I also have a post about all the awesome Harry Potter things to see and do in London if you want to combine some with your Christmas visit. Winterland – Fulham’s first Thames-side beach gets a wintery makeover and becomes a retro ski lodge featuring schnitzel, fondue, karaoke, curling and live DJs. The decor alone is worth the trip as you can sit in hunting lodges, mountain gondolas or even igloos while you have drinks! Winterville – Known as London’s ‘Alternative Festival Experience’ this festival in Clapham has lots of unexpected delights including comedy, musical bingo and a family Christmas show on a double-decker bus; as well as an ice-skating rink, food stalls and rides. There is SO much on offer that you will definitely need to explore the website and then at least a few hours at this very unique Christmas event! Backyard Cinema Christmas Labyrinth – While this is technically part of the Winterville festival I felt the need to include it as a separate entry as it looks SO DAMN COOL! While yeah, it’s a cinema, it’s a cinema which you need to walk through an enchanted Christmas labyrinth to get to and then once there you can watch classic Christmas movies from bean bags while you have snacks and drinks (including alcohol) from the onsite bar! Charles Dickens Museum – As the author of “A Christmas Carol,” it’s appropriate that the Charles Dickens museum also gets into the festive occasion. His house is decorated as it would have been in the Victorian era and there are a number of events on as well, such as performances of “A Chrismas Carol” and one where you can try different traditional Victorian puddings! Skylight – Skylight also needed its own entry as it is the site of Europe’s only roof-top ice-rink! 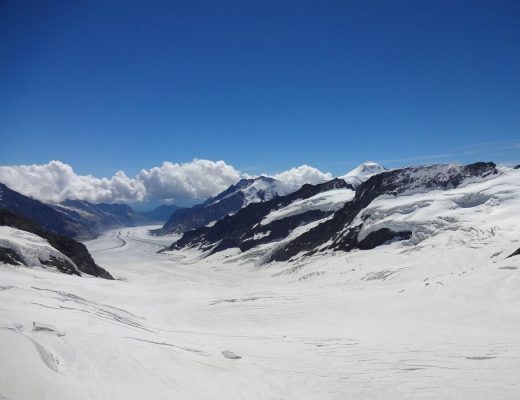 As well as having drinks in igloos and huts you can also book tickets to ice-skate with a stunning view over London’s city skyline. Is anyone else as excited for Christmas as I am now!? Hopefully, you now have enough awesome ideas for festive things to do in London at Christmas that you are as excited Billy Mack. I just wanted an excuse to put another gif of him in here, but that is the end of this detailed post about things to do during a Christmas weekend in London, woohoo! Have you ever spent Christmas in London and think I’ve missed something perfect from this post? Let me know in the comments or pin one of these if you’re planning your own festive weekend in London this Christmas season! This is such a lovely festive list! 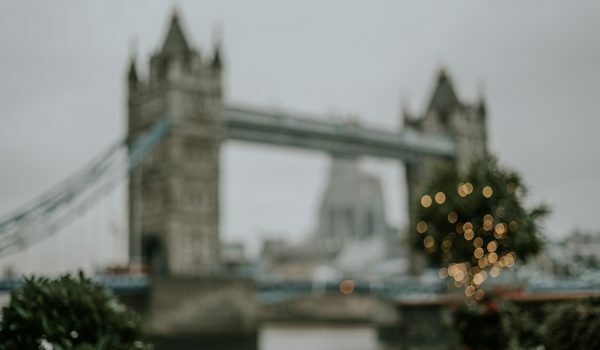 As a native Londoner there’s lots of activities here I haven’t even thought of visiting – you’ve definitely inspired me to see more of the touristy things in the city this Christmas season! Aha, that’s great, hope you have a lovely time! I am so excited to spend my first Christmas in England! I’m in Cornwall but I’m definitely planning a trip to London to take in all the Christmas vibes! Christmas in London is magical.